FINAL CALL! 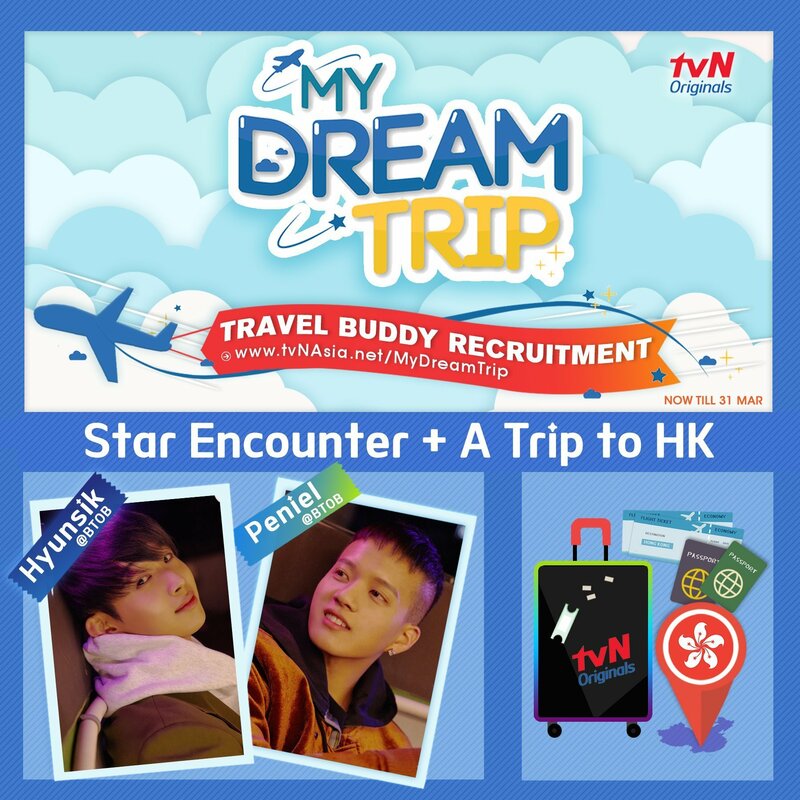 tvN is recruiting two travel buddies from around the world to join BTOB members Peniel and Hyunsik on an exciting journey to Hong Kong! This trip will be filmed for tvN’s latest original production, My Dream Trip, and it will premiere on tvN in Asia this summer. 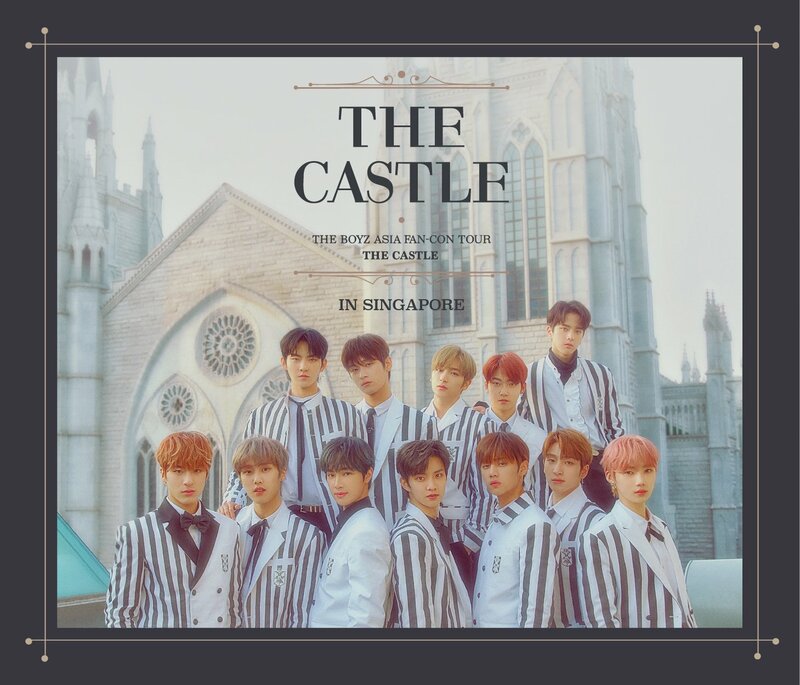 My Dream Trip takes K-stars on board as tour guides to plan a unique, fun-filled and memorable itinerary for lucky tvN fans. The first leg is set in the Asia’s world city – Hong Kong – where myriad experiences await, from the arts and culture and international gastronomy to nature escapades. 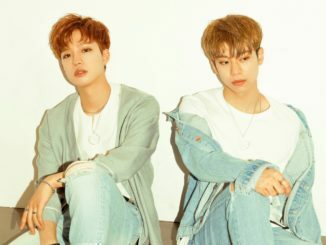 The charismatic duo, Peniel and Hyunsik will not only try to win the travelling budget through completing missions and competing in games, but also strive to make their travel buddies’ dreams come true. Individuals who love travelling and exploring different cultures are welcome to join the My Dream Trip Travel Buddy Recruitment, where the production crew and stars will review all applications to shortlist two lucky fans. Along with an enchanting encounter between the celebrity duo and their travel buddies, the four will create unforgettable memories together travelling through the dazzling city of Hong Kong, enjoying the breathtaking night view of Victoria Harbour, absorbing the sunset in “Hong Kong’s Back Garden” among the serene nature, discovering hidden artsy photo spots in local neighbourhoods, and savouring delightful international cuisine. How to join the Travel Buddy Recruitment? Take out your phone to record audition videos and photos, and submit your application to www.tvNAsia.net/MyDreamTrip (T&C applies). The recruitment will close on March 31st at 23:59 hours (GMT+8). So what are you waiting for? Grab the final chance NOW!